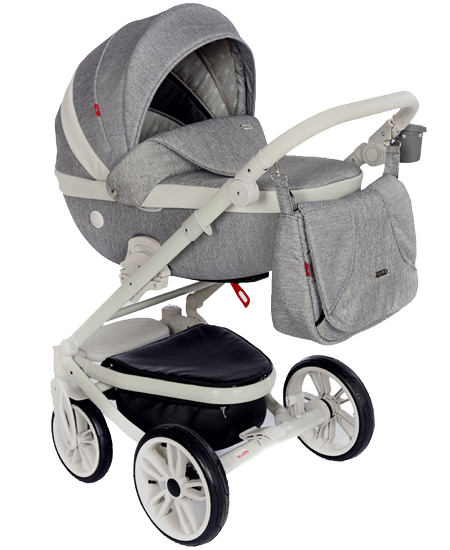 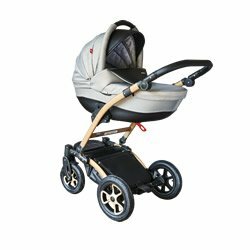 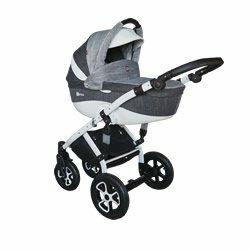 Timer pram is a high class model perfectly meeting the needs of both a baby and a toddler that likes to sit while travelling. 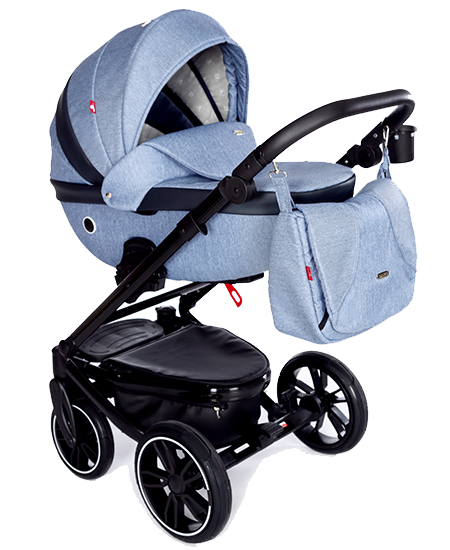 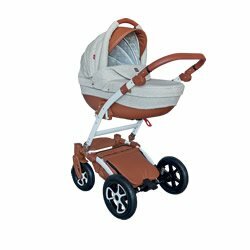 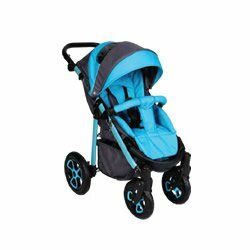 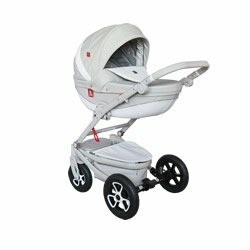 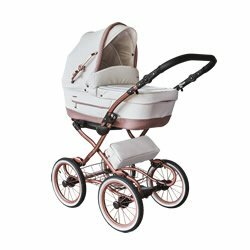 Its aluminium chassis makes it extremely lightweight and comfortable, which is of utmost importance while strolling, particularly in the city. 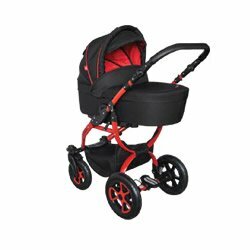 It has four large, air filled wheels, which makes guiding it a pure pleasure – even bumps and holes in the pavement are no obstacle for it. 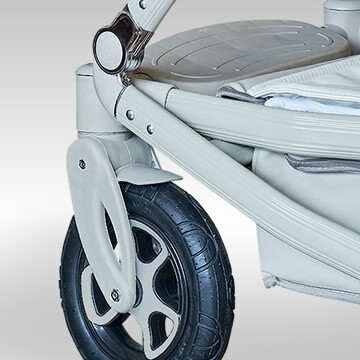 It is perfectly finished. 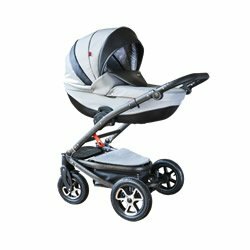 It is easily folded, which makes it easy to pack it inside a car. 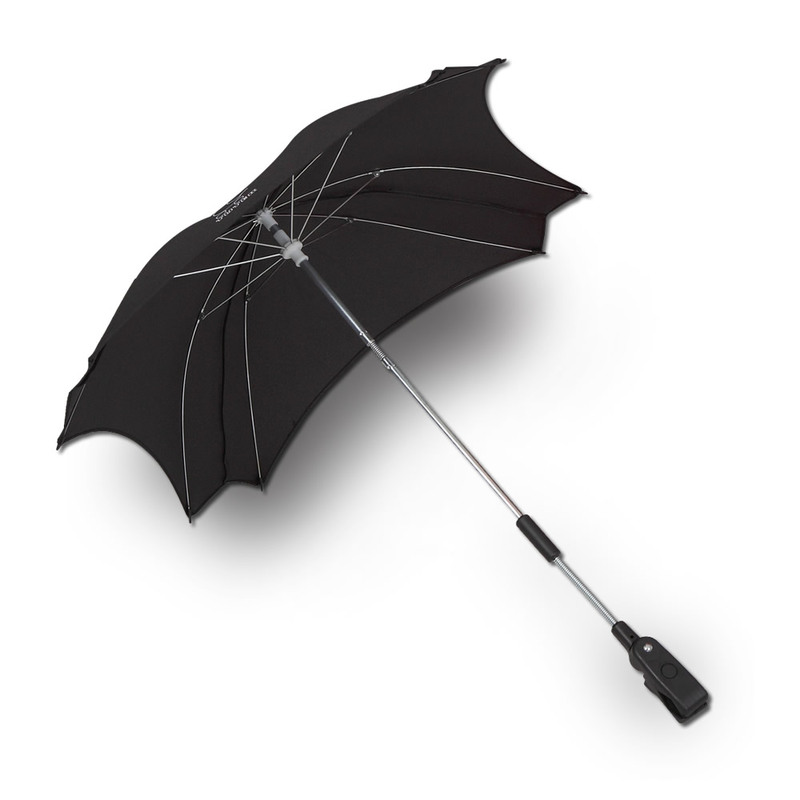 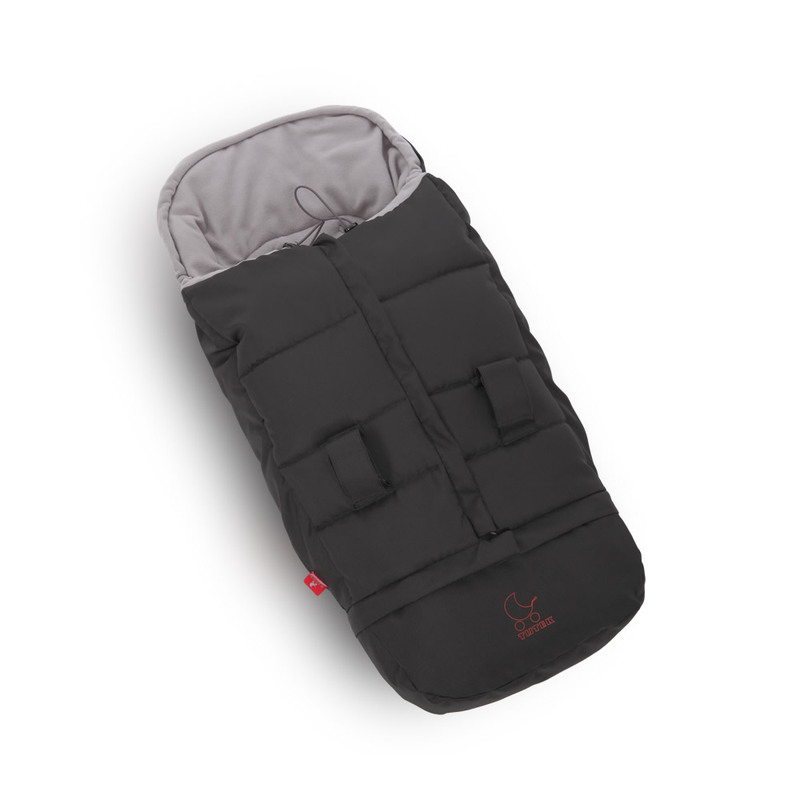 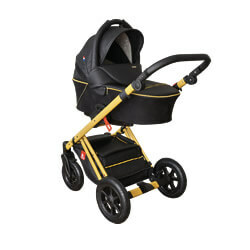 Moreover, it has a zipped rack at the bottom to store accessories necessary for a stroll. 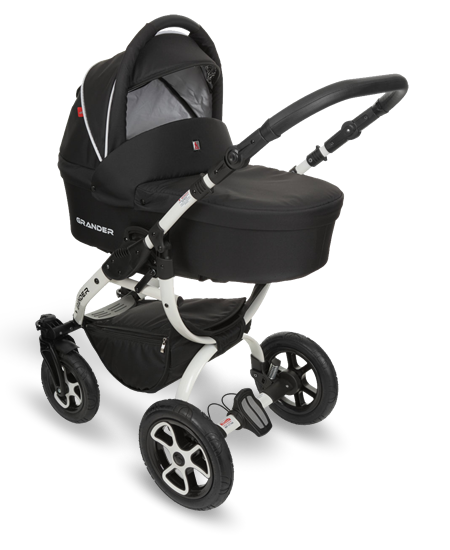 The pram might be used for transporting a baby in a horizontal position, but it can also be converted to a stroller. 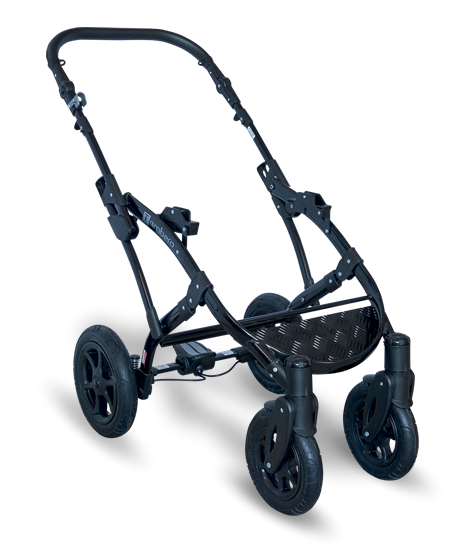 Its turning wheels make manoeuvring easy and the handle might be easily adjusted. 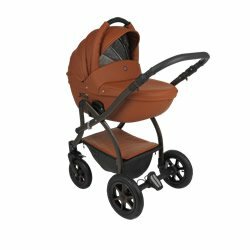 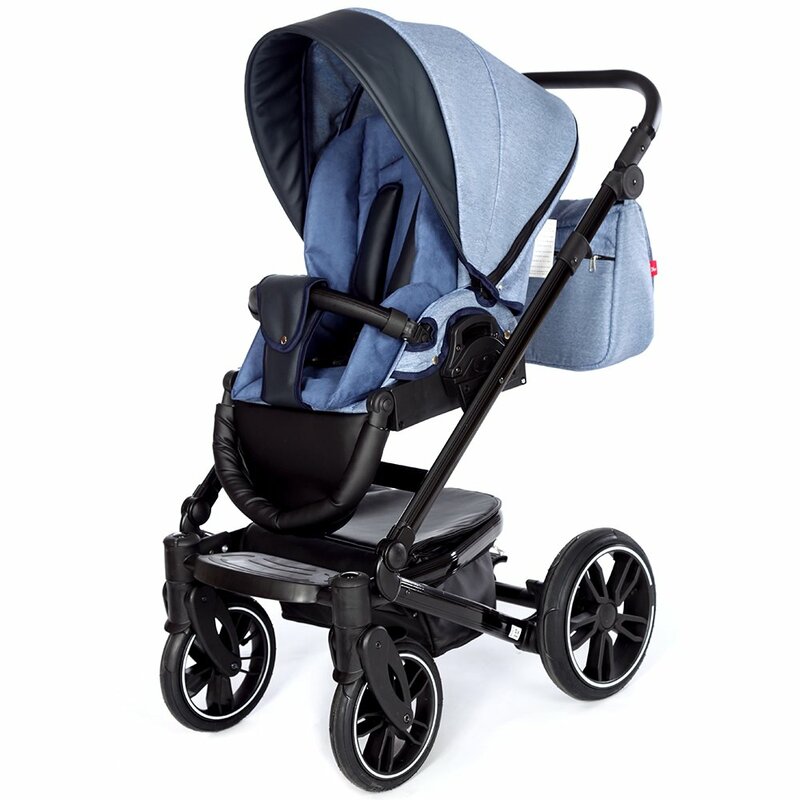 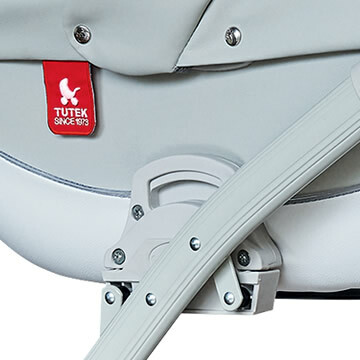 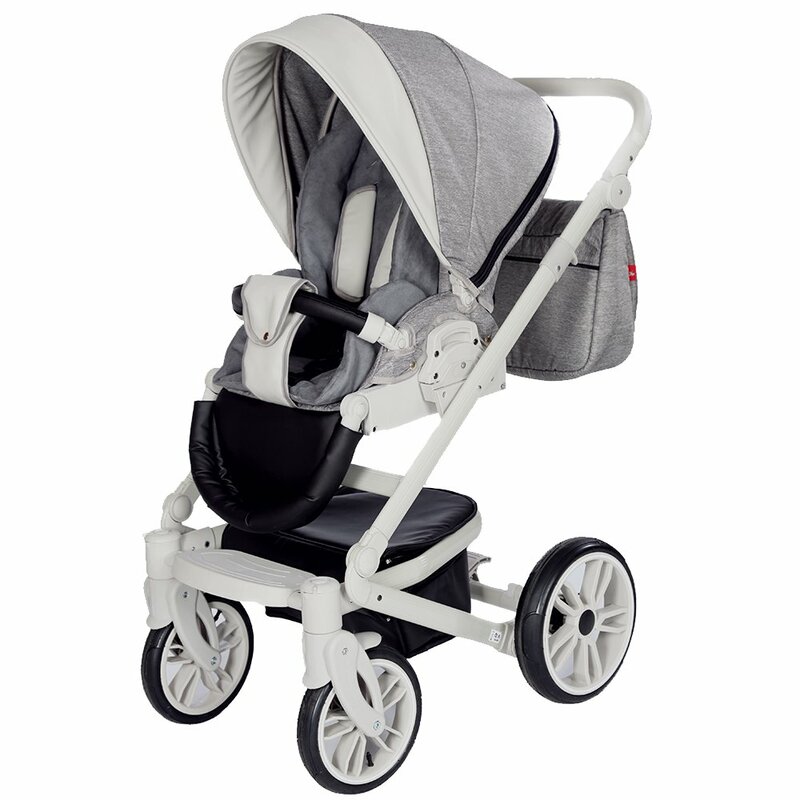 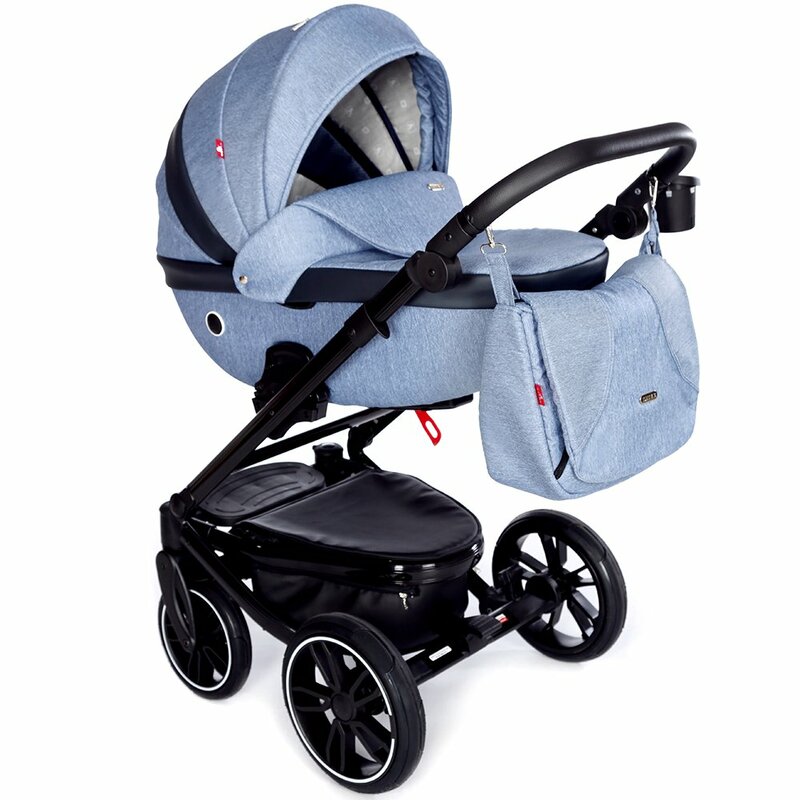 The stroller is available in two colour options. 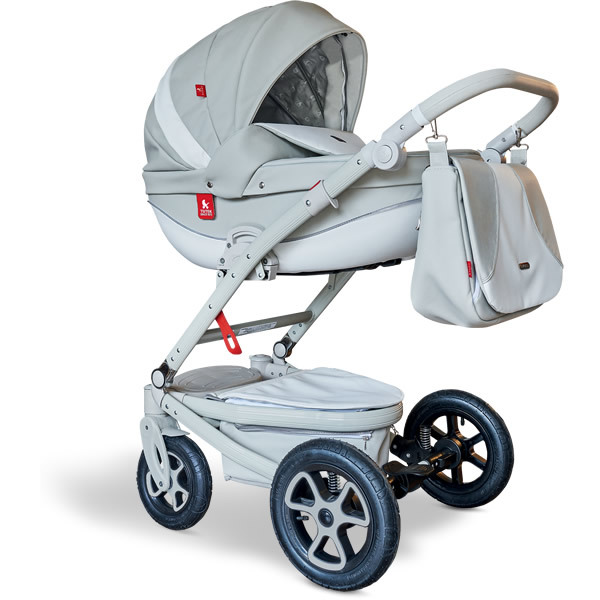 The first set present chassis colours: white, black, grey and brown – in various combinations. 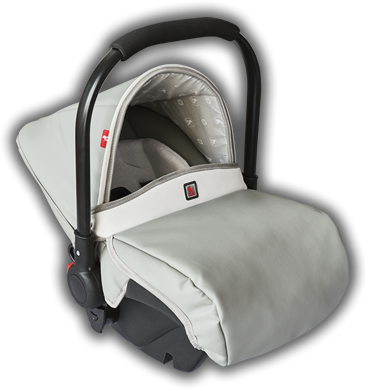 The carry-cot is available in several colour options in light shades. 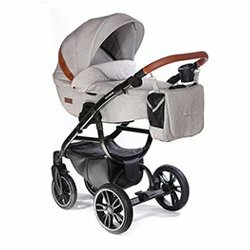 You can also choose checked fabric. 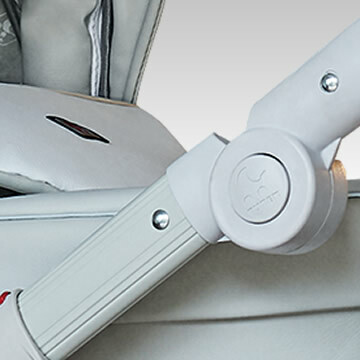 Check out the available colour and fabric solutions. 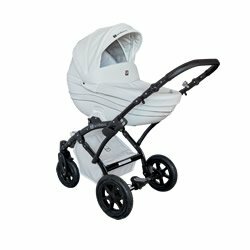 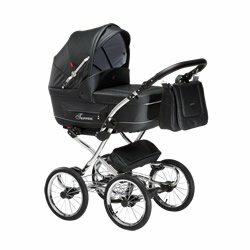 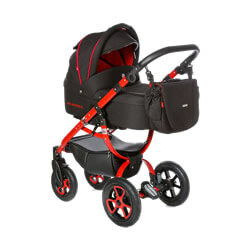 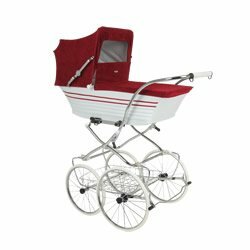 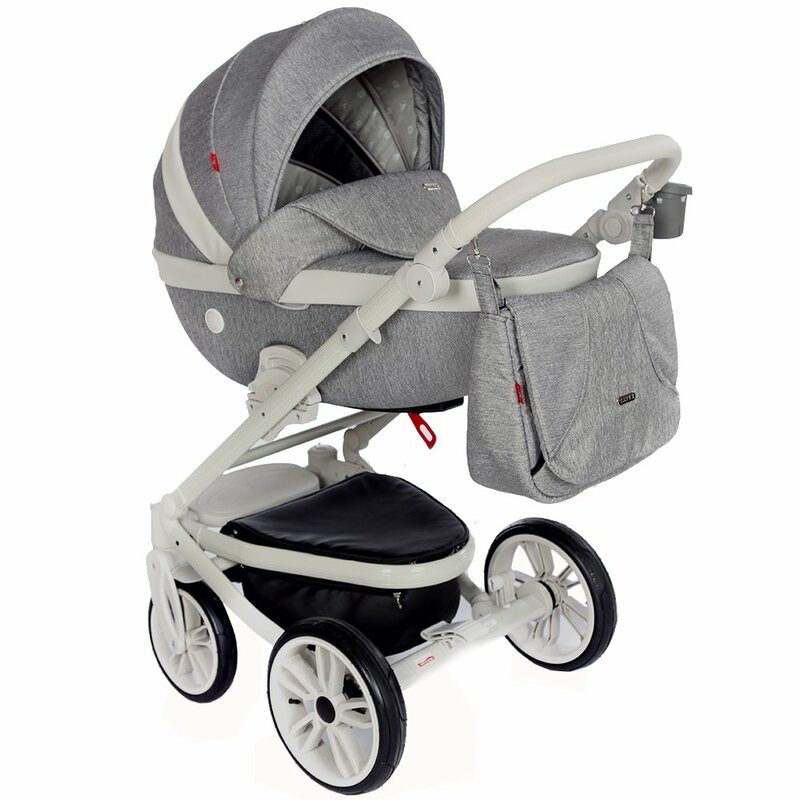 This will make your choice of the pram that’s best for you easier.